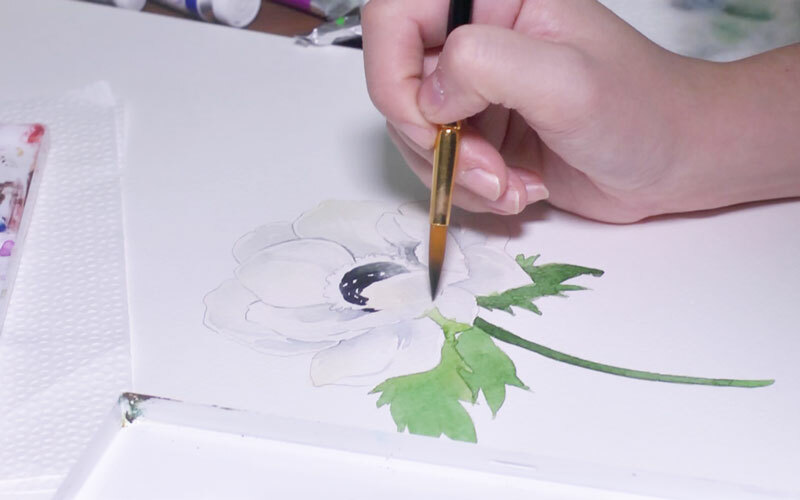 Paint a white anemone flower using watercolor. you will paint a white anemone. Anemone, a flower unique for its big size, has a wide variety of colors. It is a perfect motif to enjoy making arrangements with various colors of watercolor. 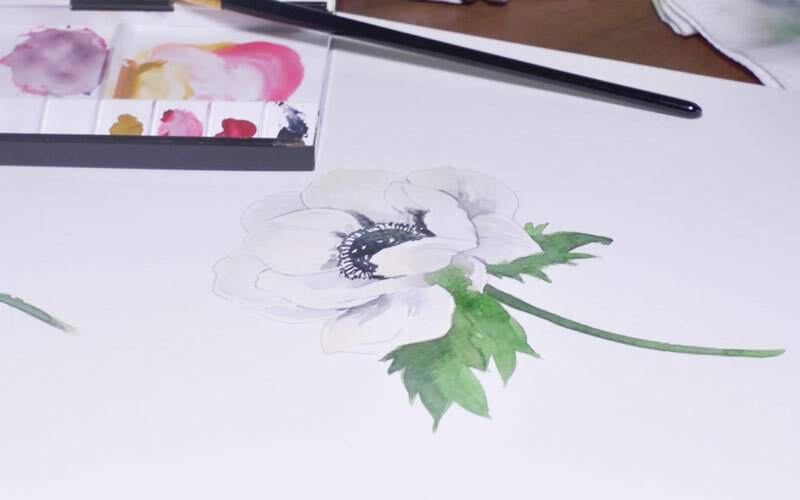 Learn how to paint an anemone with that kind of atmosphere. and many more techniques essential for painting a realistic anemone. Carla finishes up the work without it looking dirty even after adding dark colors on light colors. The way she uses the brush is a must-see. you can create a flowery mood. but many different colors of anemones exist, such as red, purple, blue, and pink ones. You can paint just one flower, but you can also make a lovely painting with multiple anemones. Try painting with different colors! 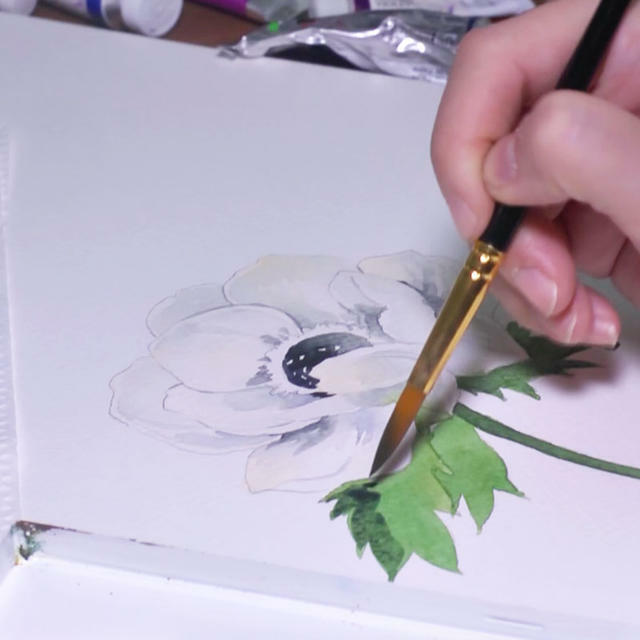 If you are a beginner in watercolor painting, start with the basic lesson.